The road itself is scheduled to open to vehicles Friday, May 4, 2018. According to a Yellowstone press release, the main objective of the project is to make repairs to Fishing Bridge and widen roads. When the road reopens, visitors should expect delays of up to 30 minutes between Fishing Bridge and Indian Pond. There will be no delays or construction on Memorial Day, Independence Day, and over Labor Day Weekend. Starting October 15 through November 5, 2018, the road between Sedge Bay and Fishing Bridge will be closed to vehicle travel. Visitors will still be able to drive from the East Entrance to Sedge Bay. • Address safety concerns and improve vehicle access. • Reconnect the wetlands of the Pelican Creek Drainage and allow the creek to naturally migrate within its floodplain. • Provide better nature viewing opportunities along the road. • Maintain the historic character of roads, bridges, and other historic resources in the project area. • Minimize the impact to natural resources. • Provide access for larger, modern vehicles. • Minimize disruption to visitor access during construction. Besides the East, the nearest Entrance to Yellowstone via Cody, Wyoming is the Northeast one outside Cooke City, Montana. However, the road between Tower Fall and Canyon, over the Dunraven Pass, is scheduled to close October 9. 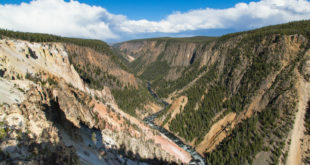 Officials in Cody have voiced concern about how construction will affect visitor numbers in the city, which is one of the gateways to Yellowstone National Park. Officials previously lobbied for work to be done after the summer season. 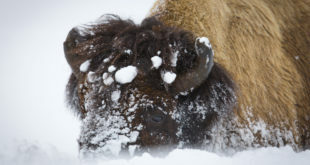 Last week, select roads in Yellowstone National Park reopened to vehicles, along with select facilities in Old Faithful and Canyon Village. Roads will continue to reopen between now and May 25. You can see the full road-reopening schedule here. In addition, you can see the list of opening and closing dates here.